Happy 2013 everyone! - I hope you all had a fantastic night!. Here is my last manicure of 2012. - La Femme Beauty - Grey Creme. 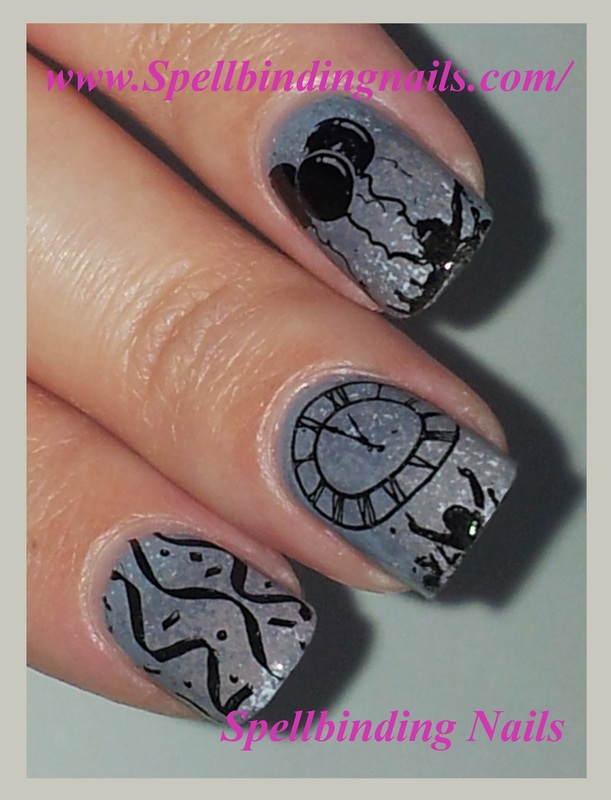 - Nails Inc Cadogan Place & Kensington Gate. 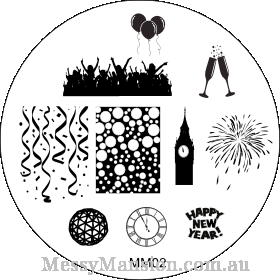 I'm in love with Messy Mansion's Image plates! Mansion brings out in 2013. - Nails Inc's Kensington Gate. - Nails Inc's Cadogan Place. my nails, followed by a coat of Seche Vite. Here is MM02 - It can be purchased from Here. 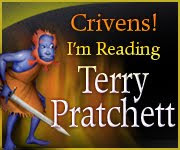 your support for my blog! over the last year. Roll on 2013 and see what it brings! Love the sponging and the stamp is too cute!! Happy New Year! What a great festive mani you're bringing us to begin the year! Love all the images you used. Never seen anything like that before. Original they definitely are. 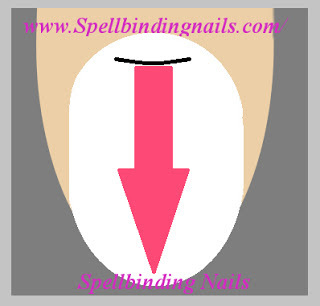 Girl girl girl...man I wish and desire to have the ability and creativity you do with your bases to your nail art!! It is so beautiful!! Happy New Year! 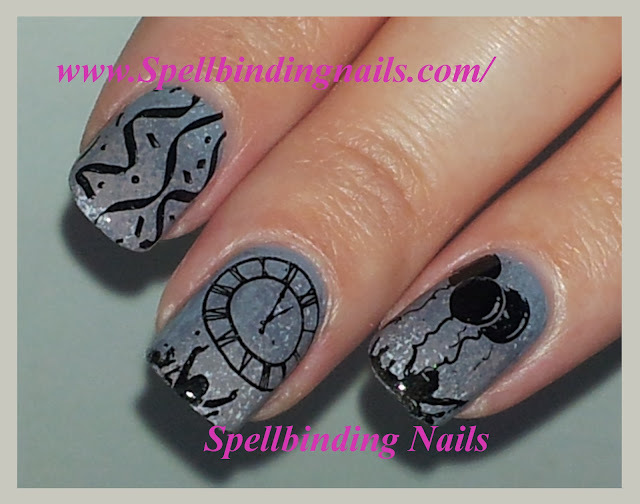 I always wanted a clock stamp I am going to have to check that one out, very nice! 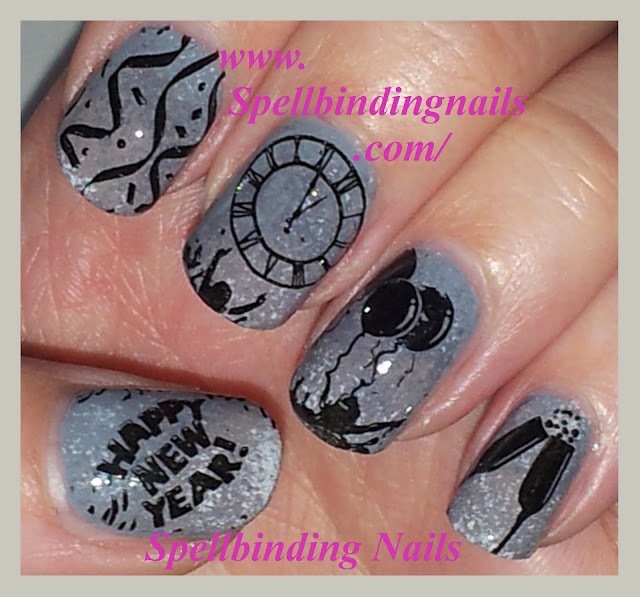 The stamps are of course so, so perfect for New Year's, and I love the blended base! This looks awesome! I hope you had a great New Years! I LOVE that clock stamp! Happy New Years!